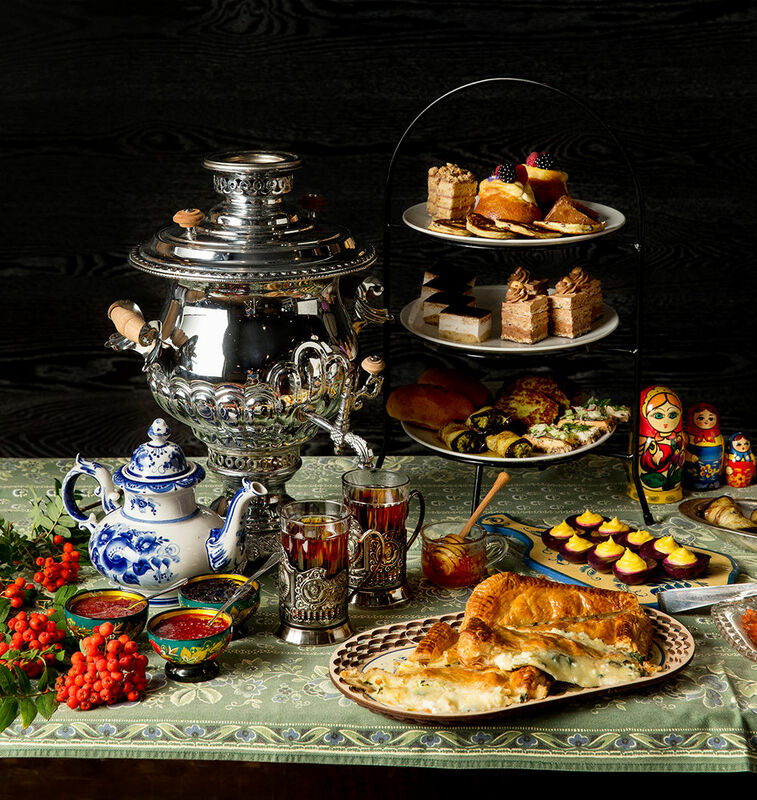 A selection from the Heathman's upcoming Russian Tea service, which Vitaly Paley and crew have been workshopping during the chef's DaNet pop-ups. The Tea Court Lounge, with its rich, wood-paneled walls and chandeliers, has long been a fusty-wonderful spot for British-leaning dainties and drinks, but Paley is goosing the staid chamber with an elaborate Russian tea program, which plucks inspiration from the chef's own Belarus childhood and the beverage’s weighty cultural significance. 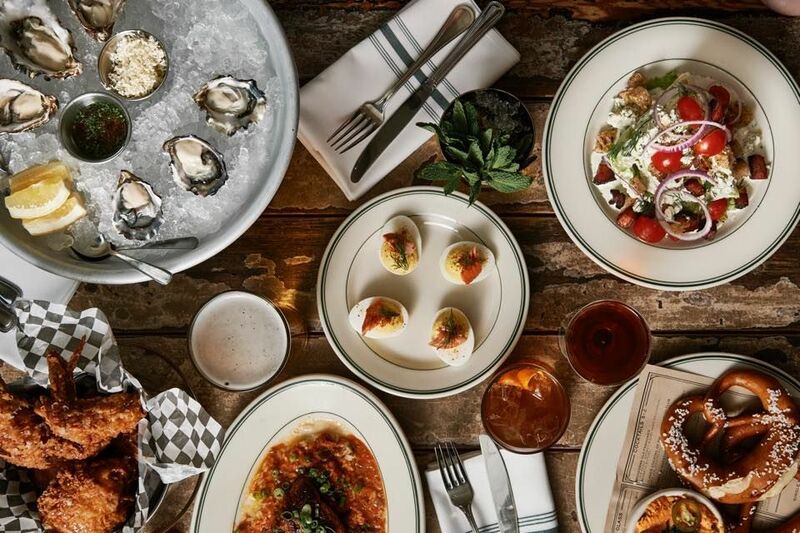 Expect small echos from Paley's long-running Russian pop-up DaNet, which bookends each of its grand, coursed meals with passed platters of savory bites and pickles and a steaming samovar full of black tea, served with a pot of jam to sweeten the beverage and a table groaning with sweets. 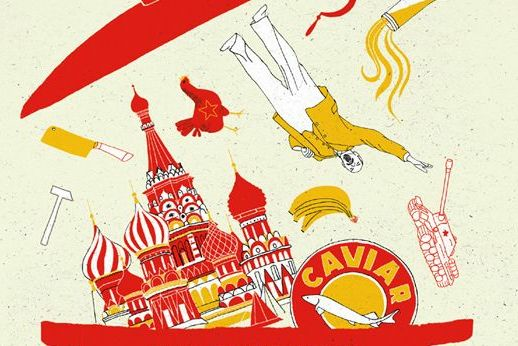 Diners will order a prix fixe Russian Tea, which comes complete with drinks and a three-tiered stand of sweet and savory treats. 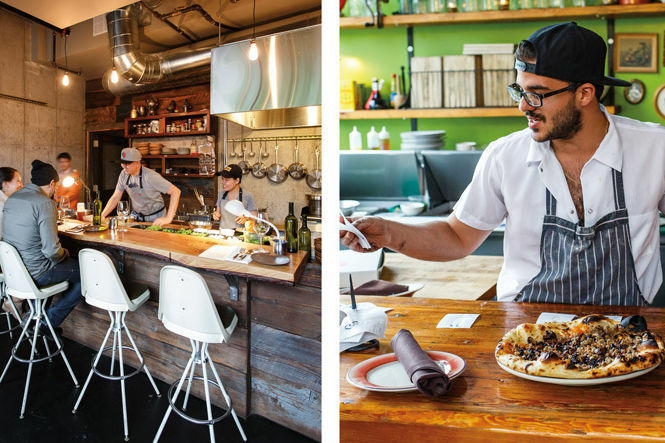 Longtime pastry pro Jeff McCarthy, who wowed with his heady desserts years ago at Ten01 and more recently at TenTop, his pop-up at KitchenCru with Michael Madigan, will head up Headwaters' entire bread and pastry program—restaurant, banquet, room service, and tea court included. The menu so far includes a dizzying array of bites, from smoked and kippered fish, Georgian khachapouri cheese bread drizzled with honey, and butterbrodi open-faced rye sandwiches to Farmer’s cheese pancakes with currants, Bird’s Milk tortes, and little steopka cakes layered with sugar, cocoa, and walnut-laden sour cream—a recipe from Paley’s own grandmother that he remembers eating “as long as he remembers eating.” “For me, it’s the most necessary item on the menu,” he says. “My mom keeps telling me she’s gonna dust off her teapot collection [and give it the Tea Court],” says Paley, who's slowly been amassing his own collection of secondhand and heirloom samovars for DaNet and, now, the Heathman. 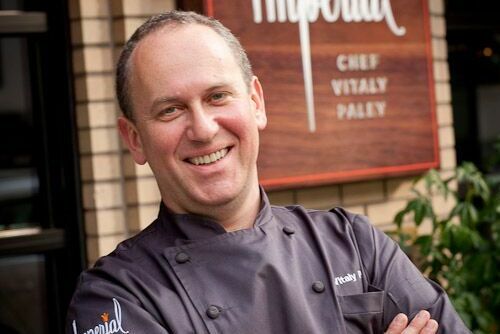 Paley hopes to debut the Russian Tea service on Friday, November 25 with three seatings at 11 a.m., 1 p.m. and 3 p.m....the best reason I’ve heard for venturing out on a Black Friday thus far.